2 Aug 1990 to date to be determined (Persian Gulf). 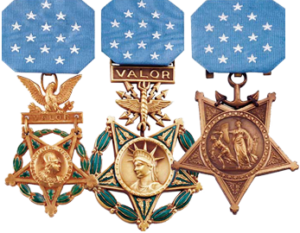 Also awarded to members of the National Guard and Reserve who were part of the Selected Reserve in good standing during the period from 2 Aug 1990 to a date to be determined. 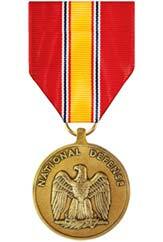 Authorized on April 22, 1953 the National Defense Service Medal indicates military service during a time of war or conflict regardless of the serviceman's station of duty.